3rd work of the series featuring the billboard girl for T-ZERO FACTORY. Contains 2 short animation movies: Your Presence (about 12 min), and KirariX Band. 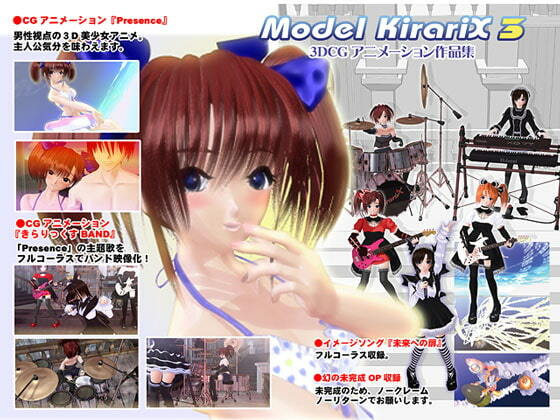 KirariX Band contains a promo clip of the opening song of Your Presence. All members of the band are Kirari!! She takes all the parts of the band!